Even the anchor of the NBC Nightly News isn’t immune to having his show cancelled, as Brian Williams found out yesterday. Rock Center with Brian Williams has been cancelled after two low-rated seasons. The program is expected to stay on the schedule through next month. One of the awards that he mentions went to Bob Costas for his memorable telephone interview with Penn State football coach Jerry Sandusky, who was later convicted of child molestation. What do you think? Will you be sorry to see Rock Center leave the air? Do you think that it’s better than the other news shows? We are very unhappy that a wonderful, intellectual show such as Rock Center has been cancelled. Brian Williams was a great anchor and we so enjoyed his comments plus kudos to his staff for all their work!!! We guess we’ll have to stop watching TV as there is nothing else worthy of our time on TV now!! Love Brian Williams, very sorry to see his show canceled. Maybe he’ll get another program. His voice is so soothing to me, regardless of what he is reporting. He is a great journalist! Too bad… This is one of the best shows on major network TV (on a par with CBS Sunday Morning but fortunately shorter). Although I very much disagree with NBC’s and Brian Williams’ partisan left leaning on his nightly news show, I thoroughly enjoyed these short stories. Also, nobody else seems to have the ability to wrap up the show the way Mr. Williams did at the end of each show with his witty snippets. Guess we’ll just have to start watching MSNBC’s 10 pm dribble….not ever going to happen. Loved the show with Brian Williams and Harry Smith. Truely enjoyed show. Hated when ya’ll moved show to Friday nights against Blue Bloods. Why do networks do that to really good shows? 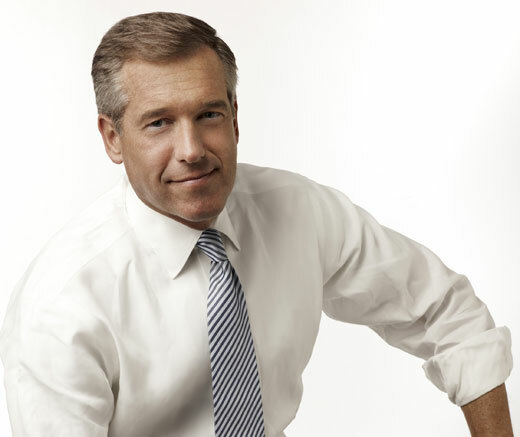 I’ve always respected Brian William for his candor. Loved when he showed his disgust for reporting on Donald Trump. Stories without slapstick hype. It’s a shame. He a damn fine journalist. One of my favorites. Sorry to see it go. Could always count on Brian Williams and staff to inform and entertain. In typical television fashion, the garbage rises to the top, and the creamy quality like RockCenter gets trashed. I’m sure it was too “thinky” for most US television viewers, who really get what they deserve… More “Big Brother” and similar Kardashian ridden puke for the mindless masses. Thanks Brian & Crew for an excellent production. I would have watched for years. I kinda liked Rock Center but Dateline is my show. Brian Williams is # 1 in my book he tells you how it is. I’ll miss it too. I enjoyed it very much. Hopefully the people who worked on this can be funneled into Dateline. I am very sorry to see Rock Center be cancelled. I love the news shows, there are so few left anymore. IMO 60 Minutes is the only other NEWS show on the air that did investigative reporting. Brian Williams was awesome as the anchor. What a shame to cancel a very informative show.I will miss it very much.